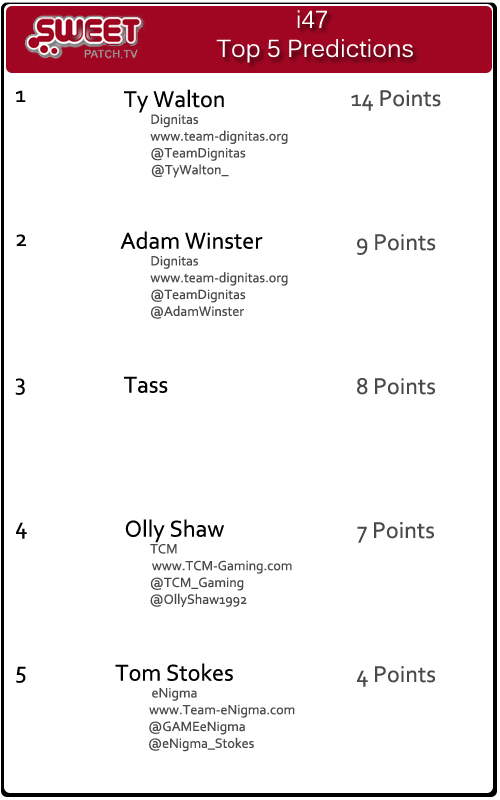 With just under a week to go until the FIFA 13 1v1 at i47, we decided that it was time to announce our predicted top 5. The way that the top 5 is made is via 3 panellists. Each panellist labels from 1 to 5 the players they believe will finish in those positions, 1 being the winner working the way down. This week our three panellists are Dave Bytheway, Gary Harvey and Dave Witts. I’ve been playing FIFA competitively now for 4 years. I’ve been all around the country and even abroad playing against the worlds best players. I have a lot of experience and I know a lot of the top guys. I’m the previous iSeries champ but won’t be at the next one to defend my title. 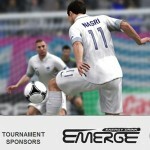 I am a FIFA player part of Sweetpatch.TV team, I’ve attended tournaments all over the world including New York, Berlin and travel to many of the regular events in the UK, I am not at the i47 event due to a clash in dates. For those of you who don’t know me, my name is Dave “Wittser” Witts and have been involved with the FIFA scene for 13 years now, running my website at Sweetpatch TV and for the last 5 years running FIFA LAN tournaments at all the UK largest offline events including iSeries and EGL. I am a massive lifelong Chelsea fan and play FIFA 13 when I can, mainly offline with my 2 sons. #1 Ty Walton, he knows how to hold his nerve and can control matches when he feels like it. Ty is #1 in UK in my opinion. #2 TCM Shawzi has had some good results on Fifa 13 as far so I would put him as my 2nd choice,He has probably one of the best attacks in the Fifa scene as alot of players know that have played him have been on the end of a hiding. #3 Tass is my 3rd choice as he has been really impressive,He has been to a handful of LANs is first was New York and placed top32 winning $2000 then went to Dubai for FIWC Grand Final then had Top 3 Finish in Berlin winning another €1250 and was at ESCW Final in Paris so he has been to Major events and can handle the pressure. #4 Adam J is my 4th pick,He has done great at events he has been to lately especially winning in Berlin €5000 which must of gave him really good confidence,He came top 16 at EGL8 for first Fifa 13 event in UK but I am sure he will get top 4 at i47 unless he gets drawing against one of the above before then. #5 Derailed Sean Allen is my 5th and final pick,I think he could do very well at this event as he won the comp on Release of Fifa 13 beating ChrissyB in Final bagging him self around £500s worth of equipment so I would say he is in for a good run in this comp. #1 Adam W. – He’s a great player and right now probably the best in the UK. Although it’s a new game, in my eyes its not a great deal different and if he continues his form from fifa 12 to this one I think he’ll have a great chance of winning. #2 Ty – There isn’t much difference between Ty and Adam and usually when they both play Ty wins more often than not. He’s a great player and has won a lot of events before so has the experience. #3 Tass – Tass came about from the challenge series when he nearly beat Adam who then went on to win the tournament. From there he’s been to FIWC, Berlin LAN and ESWC putting in good performances at all of them. As good as he might be he has the least experience out the top 5 which could go against him. #4 Olly – Shawzi is a great player on his day but unluckily for him he doesn’t have “his day” as often as he’d like. When he plays his game he’s pretty much unstoppable and I think he has a great chance to win i47. #5 Stokes – Tom is a great player and has a lot of experience. He’s won iSeries before as well as an EGL so he’s proven he can beat the best. Just like the 4 above him, he has a really good chance of winning which would take his tally up to 3 in terms of iSeries wins. 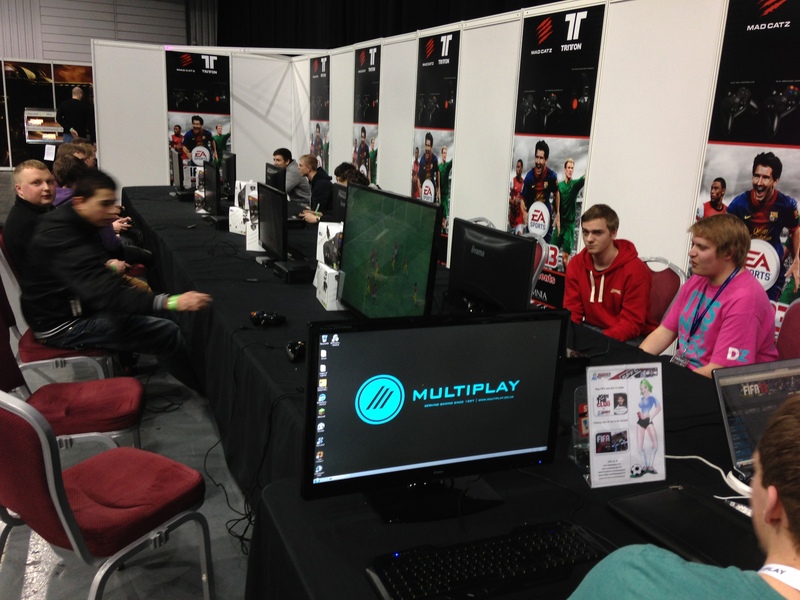 #1 Ty ‘Dignitas Ty’ Walton | Ty and AdamW always play very well in the BIG LANs and with Ty competing more recently at LANs I am predicting he will lead the way at i47 and have played too many competitive tournaments recently for AdamW to cope with (but never ever underestimate the power and skill of Adam!). #2 Adam ‘Dignitas AdamW’ Winster | After winning his massive prize fund in NYC Adam has not attended any UK LANs but did compete recently at ESWC and placed well, considering he has not played at too many offline events recently. Would not be surprised if he came along and scooped the top prize, but just feeling Ty will have too much for Adam on this occasion. #3 Tom ‘eNigMa Stokes’ Stokes | Tom always does very well at LANs and between himself, Ty and Adam, they have recently held the monopoly on winning at UK LAN events. Predicting Ty and Adam’s LAN experience will come to the fore and the best Tom will be looking at is a very honorable 3rd place. #4 Tass | Not ever seen Tass competing at a UK LAN but his results recently both in Berlin and Paris have been very very impressive. Predicting for a good finish at his first major UK LAN. #5 Olly ‘TCM Shawzi’ Shaw | Since returning to the competitive FIFA scene Olly’s performances have been very impressive and predicting a top 5 finish for him at i47. Although we are not certain if all the above players in the list are definitely attending, it looks as if i47 is going to be a good contest and the winner could be a few players! What do you think of our top 5 prediction? Is it who you would have chosen, or would your top 5 feature other players? Let us know your top 5!